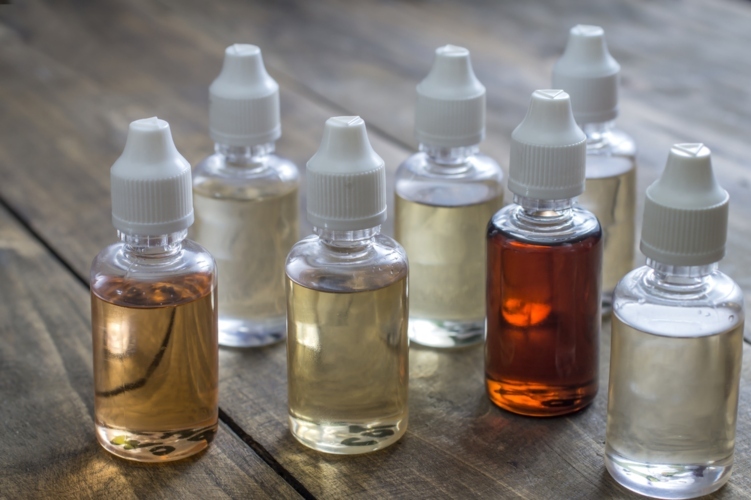 While you may have one or two go-to vape juice flavors, it’s good to switch things up now and then. When there are so many different offerings from a variety of brands, it’s fun to experiment. You’ll never know when you’ll find your next favorite e-juice! Here at The Smoking Buddha, we make a point to carry the best quality juices on the market at fair prices so you can always try something new. Due to the wide variety of options, we know it can be difficult to narrow down your choices. That’s why we did all the work for you! Here are ten of our most favorite juices that we sell. No matter how long you’ve been vaping, you know that Naked 100 is a tried-and-true brand. Brain Freeze is one of their most renowned flavors. We love it for its mixture of tart kiwi, sweet strawberry, and lush pomegranate notes. It reminds us of snow-cones! If you’re into fruity e-juices, this is a gold mine. This legendary juice packs a serious punch of bubblegum tastiness. When you inhale, you experience the sugary strawberry notes. Then, it slowly fades into a watermelon flavor. Ritual is a staple here at The Smoking Buddha. We’ve carried it ever since we opened up shop and it’s still one of our all-time favorite brands. Their Marea flavor is one of the most amazing e-juices you can get. It’s a timeless concoction of blueberry and raspberry that you’ll be grabbing time and time again. The Basix Series by Glas Vapors offers succulent e-juices that provide a bold and flavorful vaping experience. Their Fizzy Lemonade e-juice serves up a punch of fizzy-goodness accompanied by layers of pineapple nectar and freshly squeezed lemons. Fizzy Lemonade is perfect for vapers who appreciate refreshingly sweet sparkling lemonade. One of our favorite salt juices is the Blood Orange Lemonade from Salt-E. Along with blood orange, this juice is blended with pineapple, tangerine, and lemonade flavors. Whether you primarily use nicotine salts or you’ve never tried them, this is an excellent juice to try. There’s a reason there are various juices from Naked 100 on our list–they’re simply amazing. When you take a hit of the Hawaiian POG vape juice, you’ll swear you’re on the coast of Hawaii under palm trees. This topical juice tastes like exotic guava, tangy orange juice, and passion fruit. When it comes to salt juices, Tropical 100 makes some of the best. This juice mixes two of the sweetest fruits in the world–mango and nectarine. The taste is vibrant and will transport you to a perfect summer day even if it’s snowing. It’s pure-tasting and flavorful–you can’t ask for more than that. We can’t stay away from Naked 100. They make so many good flavors that you essentially have to try them all. While there are so many incredible ones to choose from, Berry Lush stands out, and that’s why it needs to be on our list. This juice is a luscious blend of sweet strawberry, fresh pineapple, and rich cream. We love it because it’s smooth and sweet! Here’s another excellent offering from Ritual. This juice contains a mixture of lemon-lime, strawberry, and mixed fruit flavors. The flavors are ever-changing, and you’ll never get bored of it. Once you try Vivo, you’ll be hooked. Old Loco never ceases to amaze when it comes to creating deliciously flavored e-juice. Mambo Mango is no exception. Crafted with care, Mambo Mango combines the taste of ripe mango with the sweet lychee fruit to create a tropical explosion. Perfect for the fruit-flavor lover, Mambo Mango is guaranteed to become a favorite in your e-juice arsenal. Well, there you have it! Admittedly, it was difficult to condense our favorites down to ten. Here at The Smoking Buddha, we offer over 300 flavors. New brands and flavors are always coming into the shop so you’ll always have something new to try. Who knows–your favorite may not even be on this list! You’ll have to come down to the shop and try something for yourself. Our e juices are always affordable–they’re all under $20. Along with all our flavors, we sell a variety of vapes to go with them. Whether you love concentrates, oil, wax, shatter, or flower, we’ve got the vapes you need. We carry Pulsar, Swan, Evolve, and PAX. Head over to our shop to try out new juices and vapes!